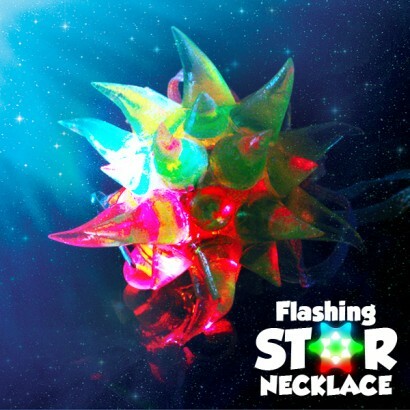 Packed with colour and with a soft, squidgy texture, flashing star necklaces not only look fantastic but they feel great too! 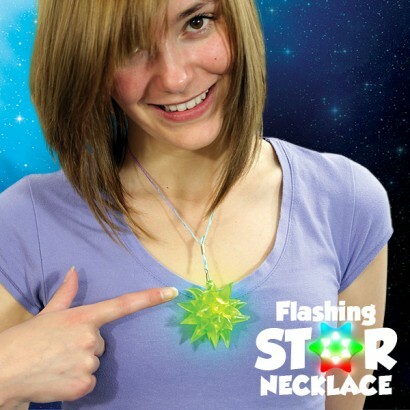 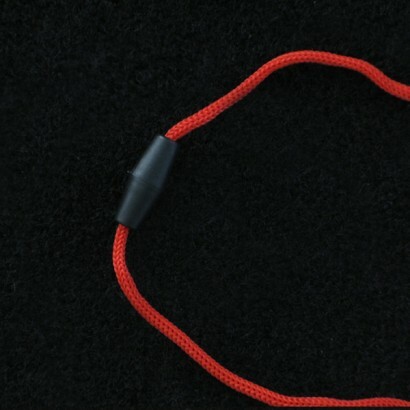 Squeeze on to activate and the centre of the star necklace will erupt with colourful light for incredible hands free light up fun. 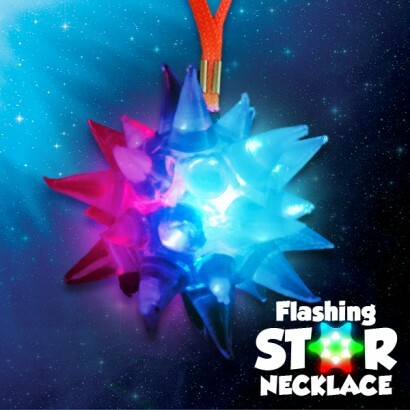 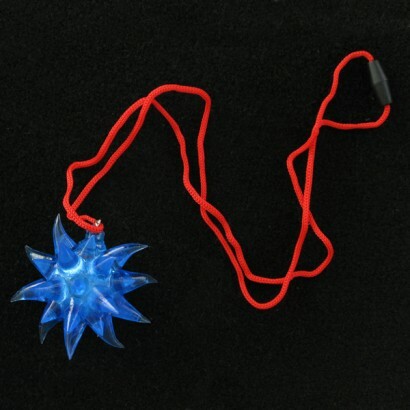 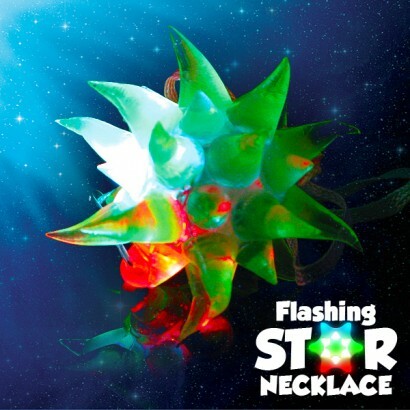 Supplied on a breakaway safety lanyard, the spiky, squidgy texture of this flashing star makes for a fantastic sensory toy, whilst the colourful lights make for an impressive party piece!